Well, at least this book wasn't quite as tiresome as the previous book in the series, but that doesn't mean it was actually good. 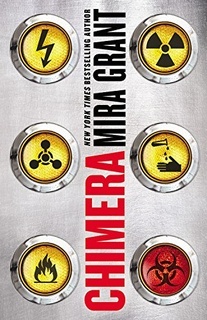 I mean, yes, if you're a fan of Mira Grant, then, no, wait, not even if you're a fan of Mira Grant. I'm a fan of Mira Grant's books from the Feed trilogy, and I found these books so incredibly sloooooooow. Yes, we know that all life wants to live. We get that. Yes, we know you're a worm who is in a human body and there are ethical issues surrounding that takeover. We get that. Yes, we know that you love Nathan, tolerate Cale, and can't stand Sherman. We get that. But say it all in fewer words. Again, this book feels like each chapter was written as a short story, with Grant (not her real name) needing to explain (again) each part of the story's history in order to give some action. No, it wasn't needed. A small saving grace is that at least there's more action in this book than the last one. Both of these books needed an editor who was willing to actually use her powers of editing to cut down on the repetitions. If I said this about Rowling, I can say it about Grant: Too. Many. Words. The point of no return is a philosophical construct, an idea that looks beautiful on paper or in a computer model, but which cannot hold up under the bearing strain of reality. The point of no return is reached in a thousand places at the same time, a thousand little fractal iterations all coming together and collapsing until the center cannot hold. "I had lived the first six years of my life going along the path of least resistance and letting other people make my decisions for me." 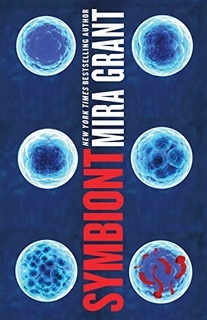 I had read Parasite from Mira Grant when it came out, a number of years ago. I was such a fan of her Feed trilogy and independently fascinated by the different forms of zombie fiction, so was going to read this trilogy, too. I recall thinking Parasite was okay, not great, not as good as the Feed books, but okay. This one, ugh, this one had too many words. Do you really need two pages of description about how you walked into a building, your brother was standing behind a plant in the entrance way, watching you, and stepped out when he recognized you? I would argue, YOU DON'T. And YES, yes, yes, yes, we know that Sherman is a bad guy and that he did bad things, and yes, everything is about survival. Yes, we know this, because you've told us a million times. I swear this book was written as 20 separate stories, with Grant (yes, not her real name), forgetting the previous books when writing each one. So much repetition over and over again about the same things. Too. Many. Words. This is book two of a trilogy. I'll read the next book because my philosophy on series of which I have enjoyed one book, is that two bad books in a row and I'll stop. This would be book one of the two that would make me stop reading. You will not find information to exonerate me. You may find more proof that I should be reviled by history. It’s all right. The broken doors are open now, and I was the one who opened them.